Mona Plash: You know what everyone said. Cary Scott: No, but I'm sure you do. At times, the aesthetic appeal of a film is so overwhelming, it surpasses the draw of the big-name stars and plot. And "All That Heaven Allows" is one of those rare examples. Anyone familiar with Douglas Sirk-directed projects knows his grandiose style. And this 1955 masterpiece sums up the best of Sirk drama, with the surface sheen, thundering music, noted stars and biting social commentary. This film, in fact, is so beautiful, that it requires repeated viewings just to be able to take it all in. Jane Wyman and Rock Hudson re-team from Sirk's inferior "Magnificent Obsession" that was such a hit the year before. In this story, Wyman plays a wealthy widow bound to the claustrophobic confines of her uppity New England town. Her friends and two grown children do their best to convince her to marry Harvey, a stuffy and older neighborhood bachelor. But Wyman wants more. She ends up falling for her younger gardener, played by Hudson. After bonding over the virtues of the silver-tipped spruce, they embark on a love affair which is rejected by the community and Wyman's own children. They feel she is far too upstanding to be with a gardener. The reluctance of those around her to accept this relationship cause Wyman to have to choose between love or respect from her town. Sirk takes what is a sappy, predictable tale and turns it into a visual feast. 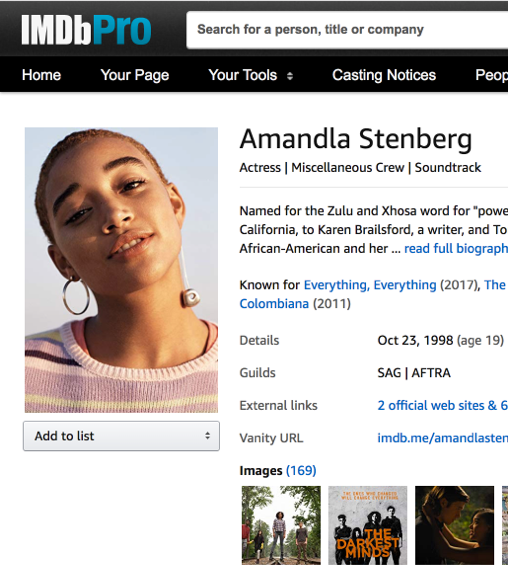 This is true eye candy for film buffs. Sirk sets the stage for this story against a heightened background of the reds, golds and yellows of a New England autumn. Every detail from Agnes Moorehead's red hair to sunsets to Wyman's lipstick and even the cars is given the Technicolor treatment to the max. Sirk's knack for visual irony is also heavily present throughout. The film opens with a shot of the town's clocktower with pigeons roosting. The pigeons are divided into two groups - a gaggle of black pigeons representing the townspeople on one end, and on the other are two white pigeons nuzzling, representing Wyman and Hudson and the division they face in this community. This is just for starters. Other stunning examples are when Sirk uses shades of blues and greys and reds to convey character's feelings of sadness or anger. And of course there is the famous television set scene. And through all of this emotion and cotton candy extravaganza is Frank Skinner's lush score that soars in all the right places. 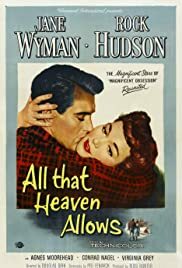 "All That Heaven Allows" is a first-rate classic that is a must for fans of Sirk or anyone who are devotees of lush melodramas from the studio heyday. 76 of 86 people found this review helpful. Was this review helpful to you?